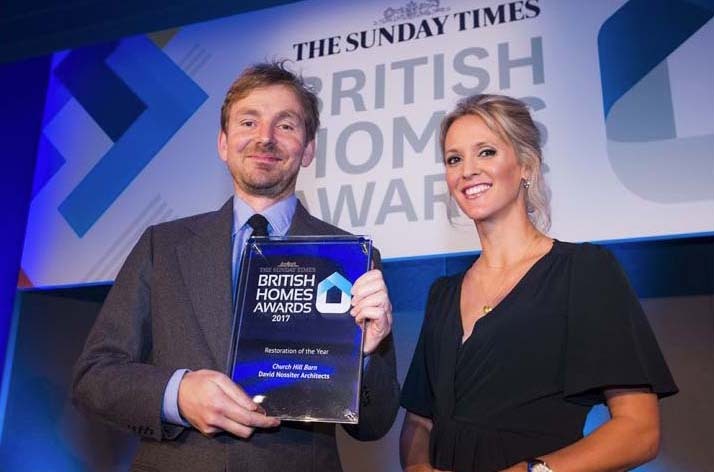 We won Restoration of the Year at the Sunday Times British Home Awards 2017. “What do you do with a barn the size of a cathedral — especially if it’s a grade II listed former model farm? 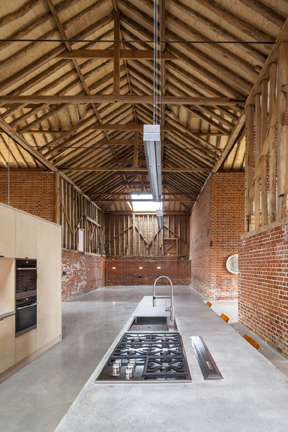 David Nossiter Architects created a vast gallery space at the heart of Church Hill Barn, in Assington, near Sudbury, Suffolk, which now regularly hosts village events. 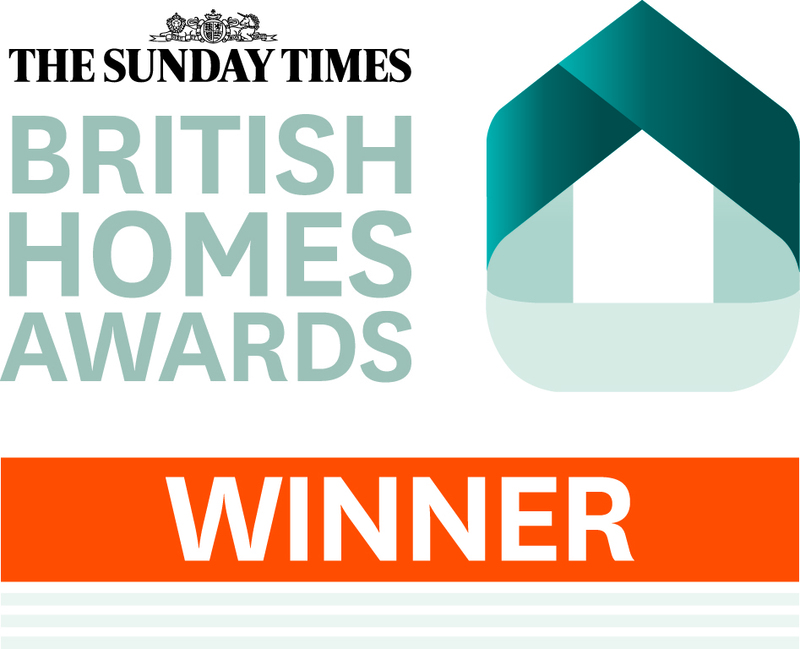 Yet the living spaces feel homely, thanks to the use of plywood pods to house bathrooms and utility areas. Oversized glazed sliding doors fill the original openings and 10ft square skylights flood the central areas with light.” The Sunday Times.